Zonia Anwaar latest collection at Sunsilk fashion week 2011 has very innovative cuts and cool colors.This is totally a western and modern style collection.Zonia Anwaar is a very famous fashion designer of Pakistan has launched her party wears collection of trend of latest fashion.This is a exotic collection of party wears by Zonia Anwaar 2011-12 with full of artistic pattern and adorned with modern cuts.We style.pk are always here for updating you all about latest trend of fashion.Stay with us..
Latest Collection By Zonia Anwaar 2011-12. Winter Collection By Zonia Anwaar. Zonia Anwaar At PFDC Sunsilk Fashion Week 2011. 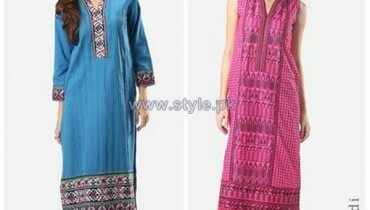 Eid Dresses By Zonia Anwaar. Latest Party Wears By Zonia Anwaar.